The first of its kind, the revolutionary Trimble R10 GNSS system is designed to help you work more effectively, no matter how extreme the environment. The new, lighter design is more balanced, allowing you to travel farther, faster, and gather data more easily. Going beyond comprehensive GNSS support with new technologies like the Trimble HD-GNSS™ processing engine, Trimble SurePoint ™ electronic bubble and traceable tilt values, Trimble 360 satellite tracking, and Trimble xFill™ which keeps you working in radio and cellular black spots, this powerful system ensures you can collect better, more accurate data faster and easier no matter how challenging the job. Backed by Trimble's legacy of surveying expertise, the new system enables surveyors to go places and do things they've never done before. 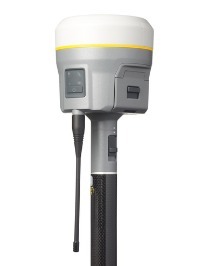 Combined with Trimble Access and the TSC3, the Trimble R10 is the most powerful solution available on the market today, representing a new era in GNSS surveying. 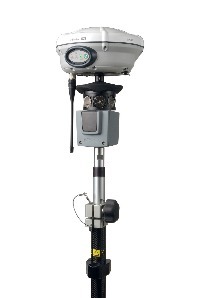 Through advanced Trimble 360 tracking technology and a comprehensive set of communication options integrated into a flexible system design, this integrated GNSS system delivers industry-leading performance in a rugged, compact unit. Supports signals from all existing and planned GNSS constellations and augmentation systems. It is now possible for surveyors to expand the reach of their GNSS rovers into areas that were previously too obscured, such as under trees and in dense urban areas. Combines the most comprehensive feature set into an integrated and flexible system design for demanding surveying applications. 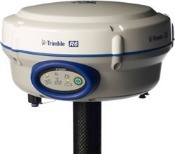 The Trimble® R6 GNSS system combines advanced GNSS technology with the scalability and freedom to adapt and grow as your business needs change.